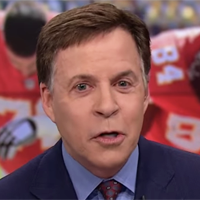 Showing 1 - 15 of 24 articles tagged "Bob Costas"
In a lengthy New Yorker interview, Costas says any perception that he feels like NBC fired him is wrong. The former Dallas Cowboys quarterback will cap off his second stellar season in the booth on Super Bowl Sunday. "It’s all settled quietly and happily for all concerned," the 66-year-old Costas tells The New York Post of his departure. Bob Costas is set to leave NBC: "Sometimes you get to a point where it is not a fit anymore"
Bob Costas calls Brockmire's Jim Brockmire a "Grade A a**hole"
Watch the Hank Azaria IFC comedy's Emmys For Your Consideration video featuring Costas, Brent Musburger and other sports announcing legends. NBC's decision to let many events play out live in primetime resulted in fewer prepackaged stories and a much-improved game. "Props to the affable Mike Tirico, who is being fast-tracked into NBC's No. 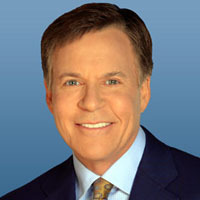 "Counting the late night role that I had in Seoul in 1988, I did a dozen Olympics," says Costas.